V.O.I.D. 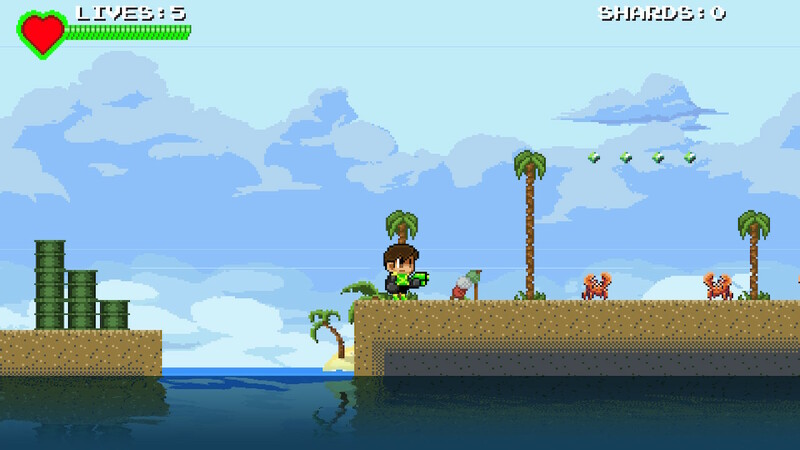 is a retro-styled platformer that has you set out on a quest through time to save the world. Humanity has evolved by merging technology with themselves, and the enhanced humans are called ploids. 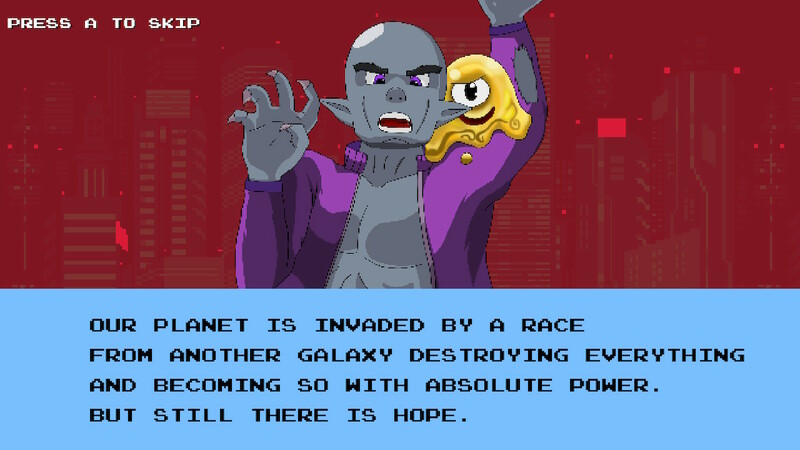 Your planet is under siege by a race from another world, and it’s up to two ploids to save the day. Alpha and Omega will need to travel through various time periods to recover the eight power shards in order to save the world. Can you help them overcome the obstacles ahead and complete the mission? As you can see, the two playable characters have differing abilities. Every time you start a new world in V.O.I.D., you get a chance to select the character you want again, so you don’t have to play through the whole game as one or the other. Alpha has faster movement and a triple jump ability, but she also has instant death when touched by hazards or enemies. 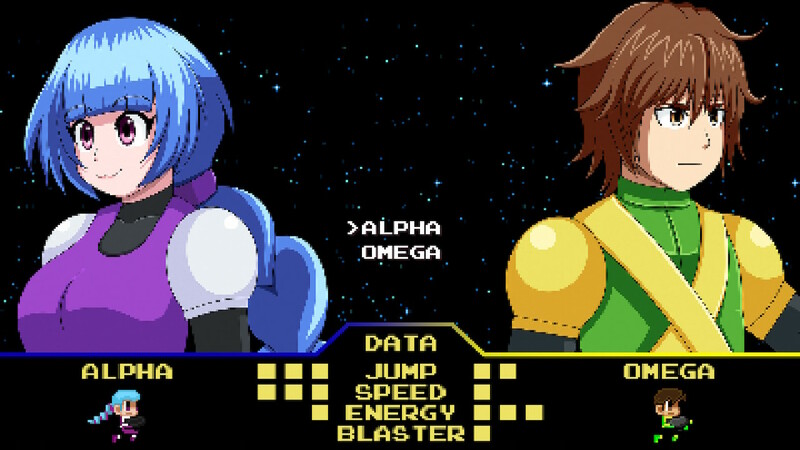 On the other hand, Omega has an energy bar, which means no one-hit deaths for him. 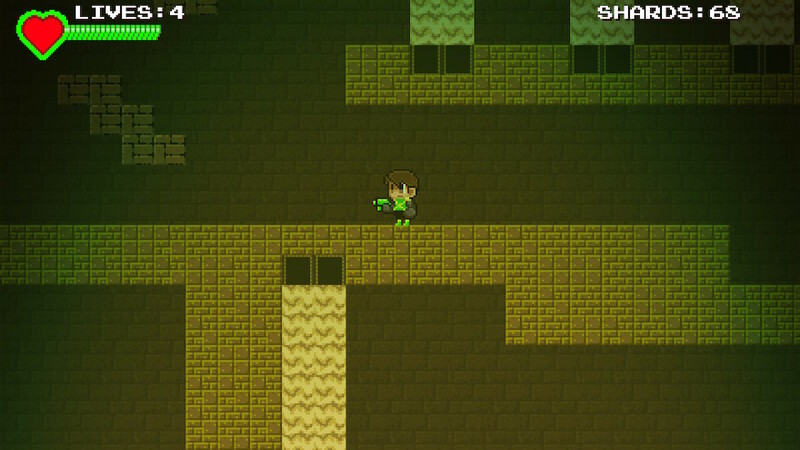 He also has a blaster that lets him take out enemies from a distance, but he can only double jump. As you might expect, the controls are quite simple. You can move left or right, jump and shoot (if you’re playing as Omega). The game definitely takes some inspiration from the retro Mario games. As you play through levels, you’ll find little shards all over the place. Collecting 100 of these will net you an extra life. You can also take out most enemies by jumping on their heads, and those brick blocks in the image below can be broken by hitting them from below. Jumping on faster enemies is risky, especially when playing as Alpha. She can jump on enemy’s heads too, but if you’re a little too far in front or behind the enemy as you hit them, you’ll take damage instead. You can’t heal, but Omega’s health bar is refilled every time you start a new level. There are no power ups in the game, and you won’t gain any new abilities during your adventure either. V.O.I.D. is a straight-up, no frills, retro platforming experience. In the event that you should run out of lives, there are no continues, but there is a password system. When you beat a world, the game will give you a sequence of four colors as the password. You can enter it when you play again to start at the world you left off at. The game will give you a room with four colored portals, and you enter them in the order specified by your password. When the game gives you a new password upon clearing a world, that screen will close by itself whether you’re ready or not, which is pretty questionable design. You can easily miss the password if you’re momentarily distracted. The bits of story dialog between levels suffer from the same issue of disappearing whether you were done reading it or not, and you only have a few seconds before it does. V.O.I.D. is simple to pick up, but gets difficult at times, as you would expect. I did notice one bug in the outdoor desert area shown in a previous image. Something seemed off, and then I realized it was the parallax scrolling of the background. It was scrolling in the wrong direction, so the background terrain was passing me somehow when I walked! As far as difficulty, the game is not too hard overall unless you play as Alpha. However, even as Omega there are some difficult sections. The first major difficulty spike is probably the level in the screenshot above. In the underwater area, you can only jump once. This makes it harder, but there is also that wall of piranhas chasing you, so you have a time limit. 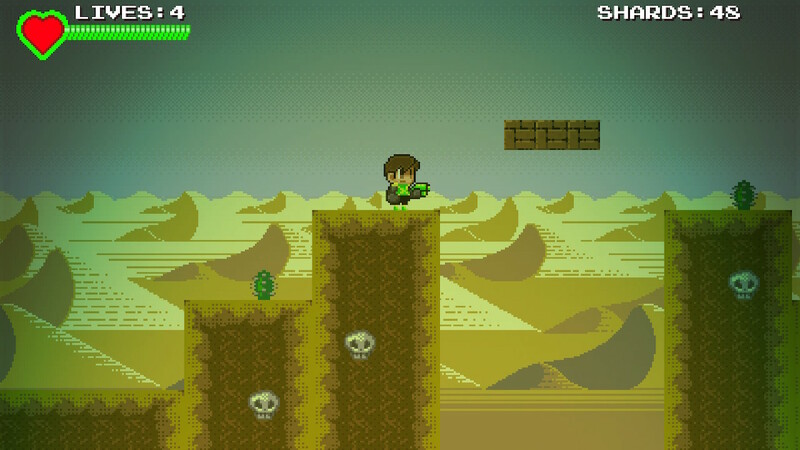 The desert world has a timed level, too. This becomes a much more annoying issue in the ice world. However some of these levels feel a bit cheap, as they are not hard on their own merits, but we’ll come back to that. 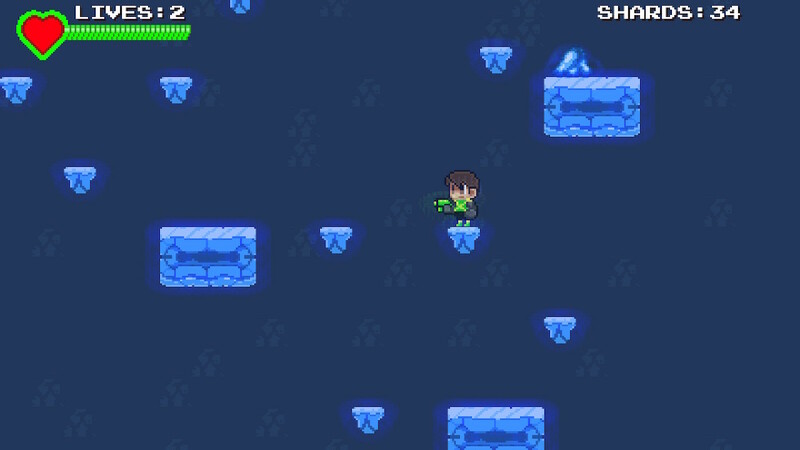 Around the midpoint of the game, you’ll encounter the ice world. It will take a little bit to get used to the ice. Not only does it make it harder to stop, it also makes you accelerate faster than normal. This can be tricky to manage, especially when jumping on ice platforms that are only one tile wide. This world is pretty short, but the final level of the ice world is a doozy. 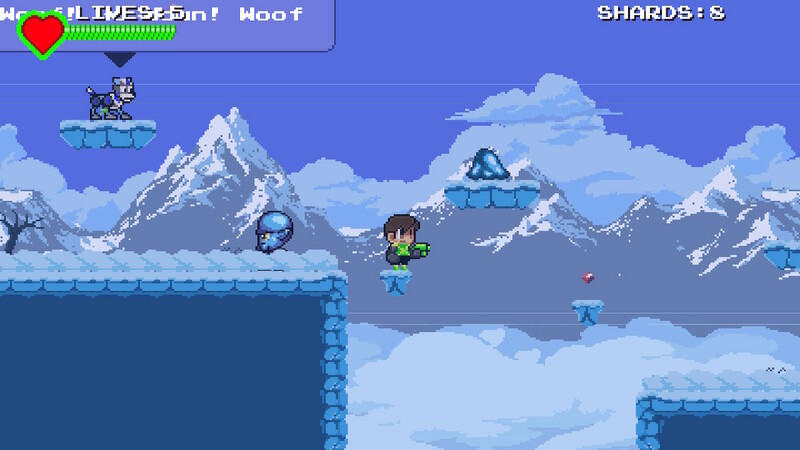 It has several sections where you have to platform through a bunch of one-tile wide ice platforms, and they are close enough together that sometimes you’ll fail a jump because you hit your head on a higher one! You can fall down one or more tiers of the level, forcing you to climb back through parts you already did, too. So this level can be time consuming and annoying. You’d think you could make this ice age area easier by playing as Alpha with her triple jump, but you can only jump once in this world. A character in the first stage tells you that it’s because of the storm, even though the background looks rather sunny and peaceful. In the previous image, the final stage of the ice world doesn’t look that bad, but this limitation makes it much worse. This is one of those levels that doesn’t seem to be difficult on its own merit, because most of the difficulty results from that one artificial limitation. And if that level makes you think you want to kill the designer, oh just wait until it shows up again in a late game gauntlet where you have to beat a set of previous stages that have been slightly modified, all on one set of lives! The gameplay in V.O.I.D. is simple and easy to pick up, but can be pretty hard sometimes, especially with Alpha. 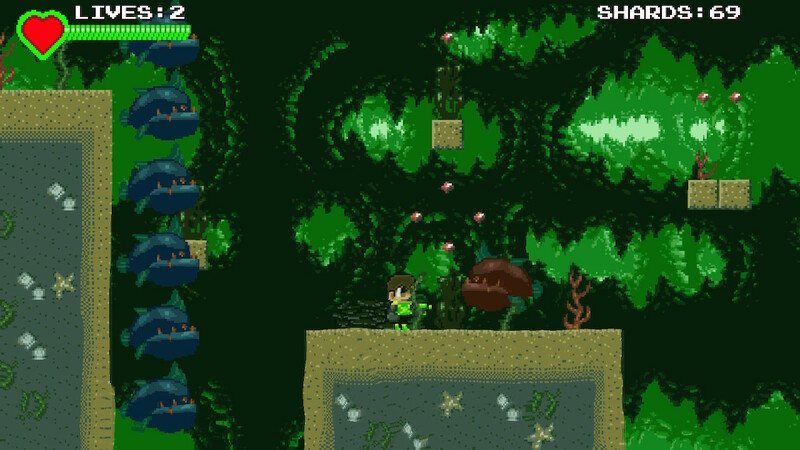 The level backgrounds are detailed, and the graphics are all nice hand-drawn sprites. The music is also a retro chiptune soundtrack that adds to the retro feel of the game and its world, as do the sound effects. The sound aspects of the game are pretty good. These are some of portals you use in your base to reach the different areas. After collecting all eight power shards, you can go back to previous areas at will. V.O.I.D. 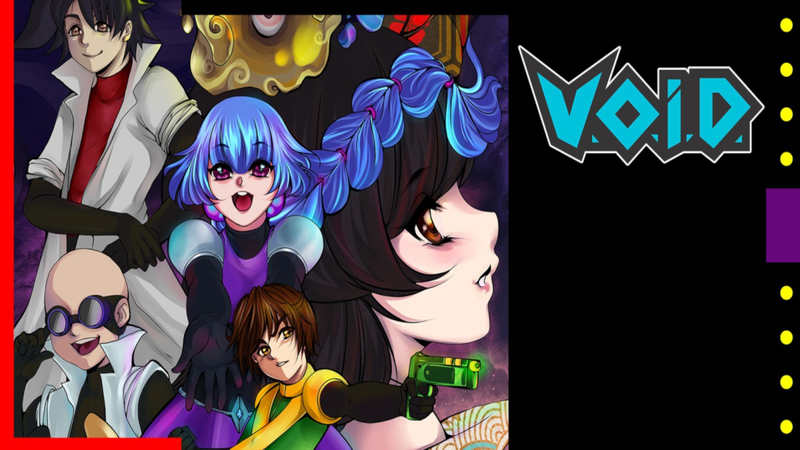 is a retro platforming experience through and through. It’ll probably take you at least 10-20 hours to get through the story, depending on how long you get stuck in various places such as that ice level or the late game gauntlet. I don’t know exactly how long I’ve played, as this game doesn’t let you choose a user when you start it up like most Switch games do. I assume that’s why there is no play time value for it in my user profile screen, because I always play under my main user profile. I’d guess I’ve spent 10 hours or so on my first play through, trying out both characters. V.O.I.D. is available on the Nintendo Switch eShop for $3.99. However, if you have an android device, it is also available for free on Google Play. 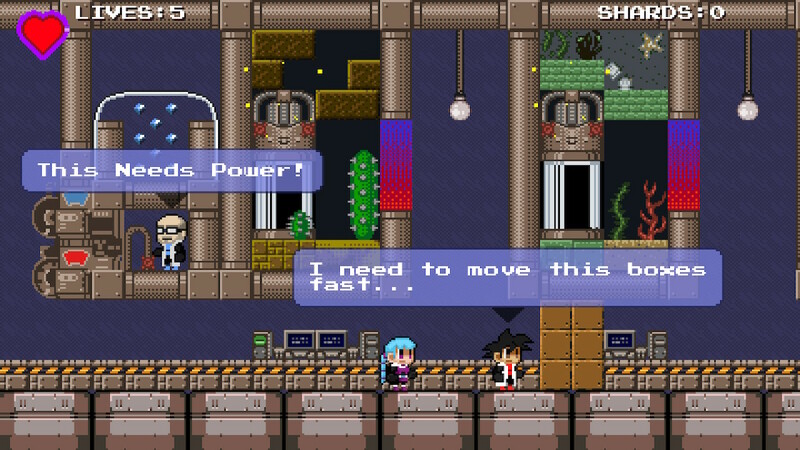 Are you good enough to travel through time, collect all eight power shards and save the world from calamity?